This interview was originally conducted for the celebrations of Emily Bronte's 200th Birthday. 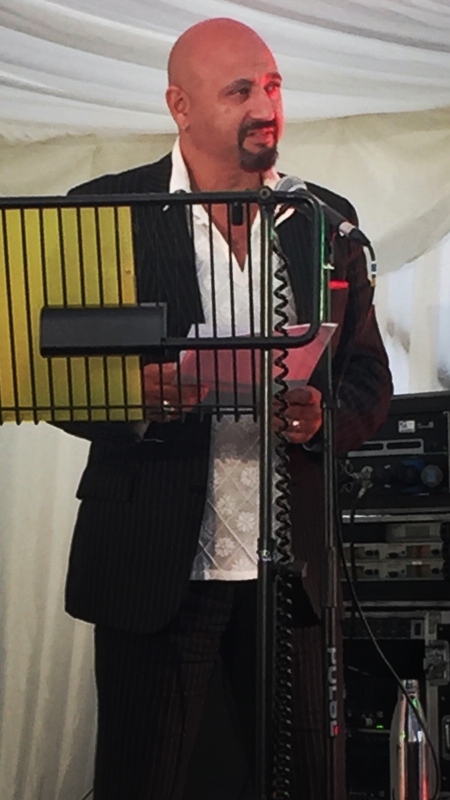 The theme of the year's celebrations was 'The Outsider' and I was asked to speak at the main literary event at the Bronte House, as apparently that title fits this being. I proceeded to give a spiritual talk about some things observed on the nature of society and outsiderness. Tell us how you got into doing what you do. I have no idea how to answer this, or how to encapsulate it, but here’s a short attempt - on the writing side I read until I became a library of stories, poems, facts, truths, lies, fictions, debate, and multitudes myself, then I wrote until I could write about anything or anyone while maintaining transparency. When I’d gone as far as I felt I wanted to with writing I ‘retired’ and began teaching some aspects from my main work of meditation and spiritual self-realisation, writing has always been secondary to this work, and my practice had reached a point where the next step was only to be found in sharing with and teaching other people. I’ve been practising for 40 years this year. How do you relate to the theme of otherness? There is no other, only the delusion of self and other created to serve our egoic ideas, and unconscious fear-based drives, that somehow we can become complete in ourselves by pushing towards greater and greater separation. Any quick glance at the news with a bit of consciousness will show you the truth of this. What creative masterpiece do you wish you could have written? None, I’m very happy with the journey that literature took me on, and I’m even happier beyond that vehicle. There are some truly wonderful writings that have been part of my life, but I’ve never for one minute wished I could have written them, or be anyone other than this being. What's an important piece of insider knowledge you have as a creator, writer and thinker? Most people don’t do the work, they want to be seen to be as ‘something.’ Try not to emulate them no matter how shiny they look. My secret has always been simply doing the work until it sings with an integrity and life of its own. The public side of all real work and getting to the good stuff is entirely secondary. My next day retreat is in September of this year and we’ll be looking at going beyond and healing the ‘critical and judgemental mind,’ as this causes so much illness and division in our lives. Retreats excited me as we get to really bring presence to the matter at hand and work at a deep level with our basic human goodness. Next Easter I’m hopefully making an exploratory trip to the US to see what connections can be made for my work and hopefully share some teachings and practice. There may also be a retreat in India at the end of 2019.